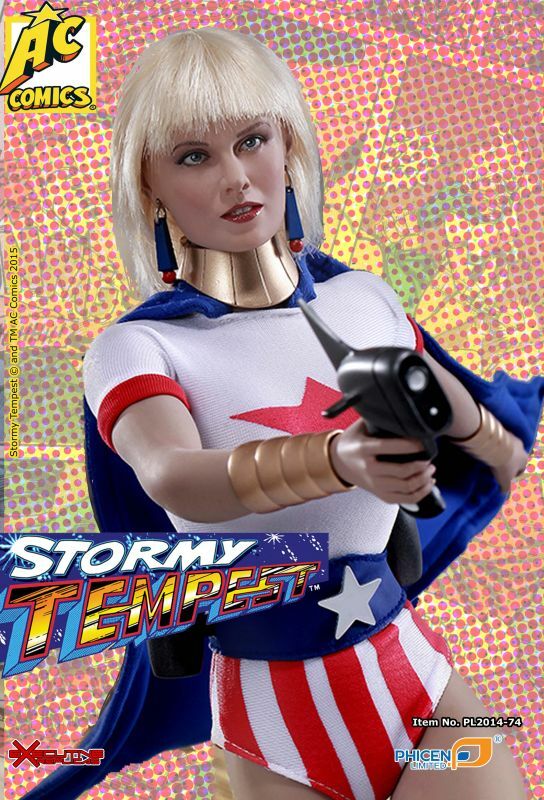 Stormy Tempest was an intrepid Space Patrol officer, fighting crime throughout the known universe in the far-flung future, until circumstances turned her into an outlaw. 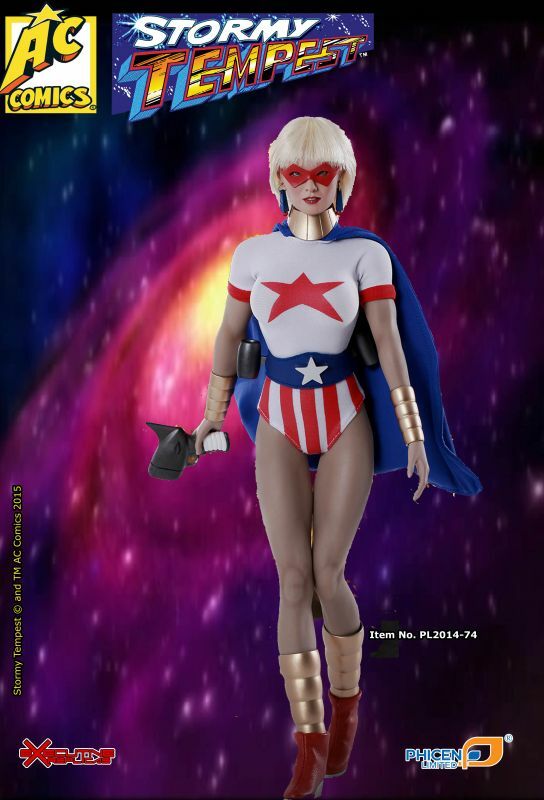 Armed with nothing more than her ray-blaster, rocket belt and keen wit she continues to right wrongs and battle for the underdog wherever fate takes her. 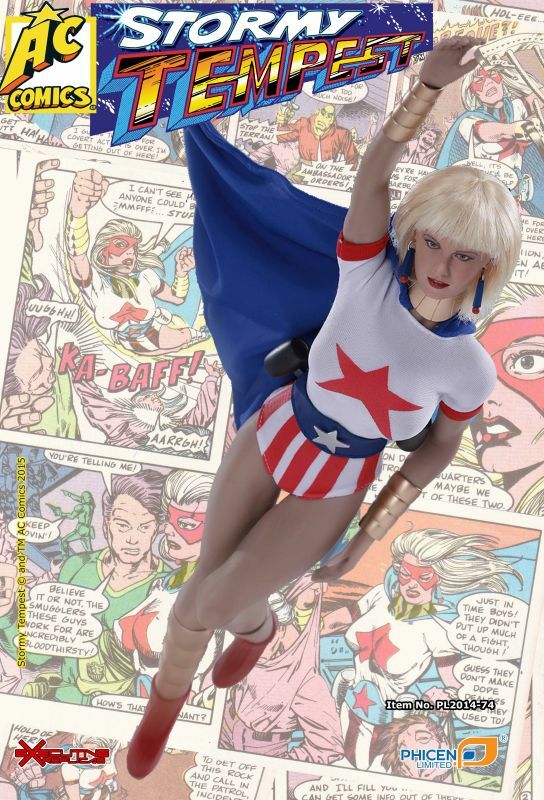 Currently stranded on Earth in the 21st century, she can be found zooming though the pages of AC Comics' long-running FEMFORCE comic book quarterly, and in a series of live-action DVD movies. Nous devrions la recevoir d'ici Mars. 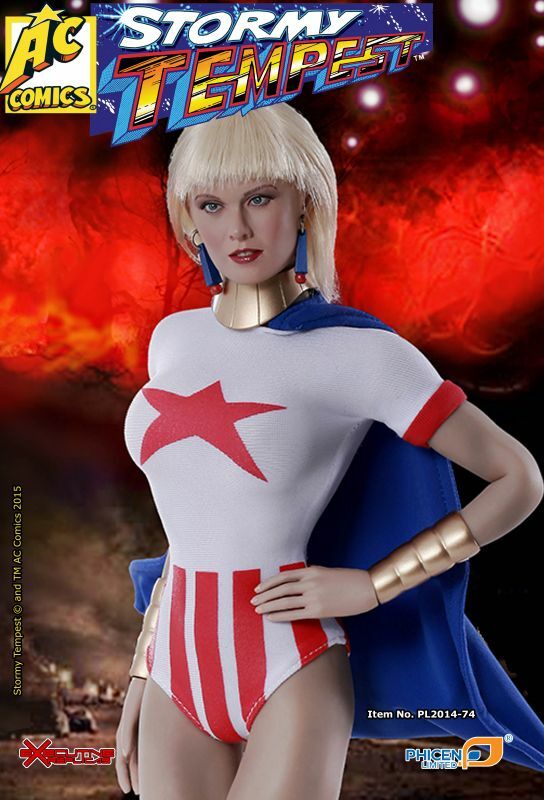 Cette figurine m'intéresse beaucoup. Auriez-vous une idée plus précise de la date à laquelle vous la recevrez ? Merci.